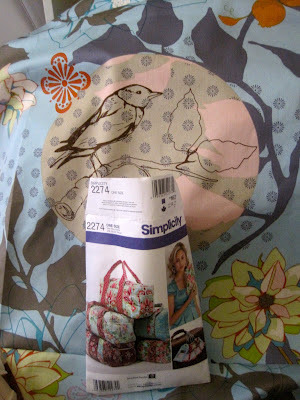 I'm trying to get my act together and prepare for Sewing Summit! I've done most of the prep work for the classes I'm teaching--whew! Oh, and in case you're late to the party, I am teaching a 3rd metal frames class at Sewing Summit (see my previous blog post for details). I still have a few spots open! I've got half my fabric cut to make my own duffel! I have done this pattern before so it's going pretty smoothly. FYI, if you don't have bag experience, I wouldn't recommend the Simplicity version (not a lot of detail in the instructions). I think Cherie (Studio Cherie on etsy) provides better instructions if you buy the patter directly from her. Just a heads up! 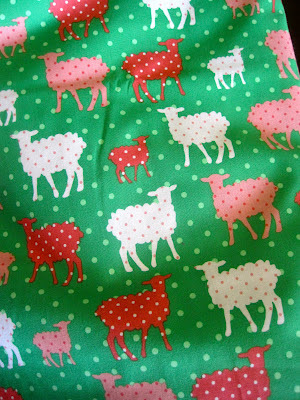 I got my fabric that I'm using for my Sewing Summit lounge pants class! Mmmmmm, organic Laurie Wisburn! So soft! I also made this Mendocino bunting for a bunting swap at Sewing Summit! I think this one might spark a few fights! Hopefully I can snag a good one myself! I promise myself I can work on my Modern Maples if I complete at least two other tasks on my *must do* list. So far it's working! On a totally unrelated note, I have a charm pack of a hard to find collection and I'm dying to make something with it! Anyone have a favorite charm pack pattern? I'd rather add a lot of solid color fabric and make something lap size, but I'm lacking inspiration right now! Help! 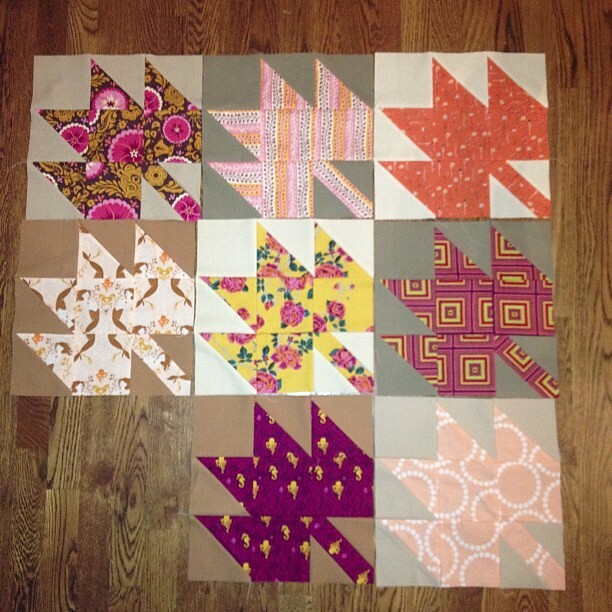 LOVE the auction quilt!! Wow, that should be popular - I hope it raises lots of cash. Love all of your maples and good luck with your duffel! which charm pack are you referring to? 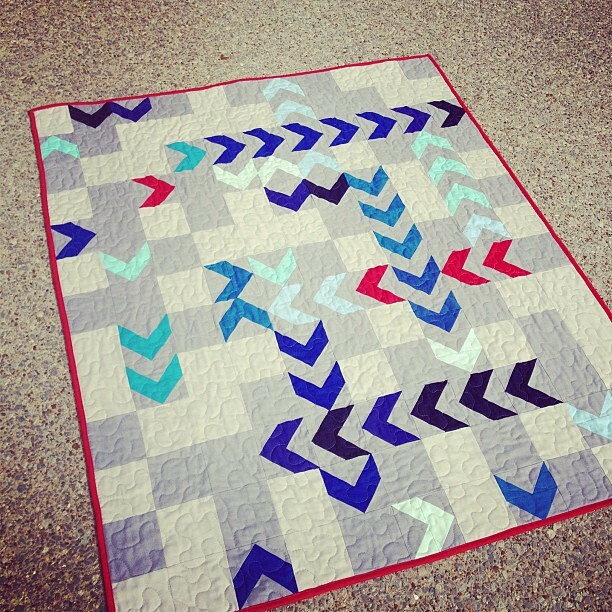 Love the quilt for your son's auction! Great fabric choices for the design! Xs and Os is a great charm pack stretcher! Look on my blog for one I just finished for that very same reason!